Electronic vote-counters in 33 of Athens County’s voting precincts have been reprogrammed not to count votes cast on county electric aggregation, a step taken after it was determined that the measure (Issue 2) should not have been on the ballot in those locations. Also, signs will be posted in the 33 polling locations alerting voters that Issue 2 should not be on their ballots, and that votes on it will not be counted, according to Athens County Elections Director Debbie Quivey. Electric aggregation would allow the county to negotiate lower rates for households and small businesses in the unincorporated areas of the county, but all ballots printed for the Nov. 5 election — including those in Athens, Nelsonville and the county’s eight incorporated villages — mistakenly include Issue 2. The error was discovered earlier this month, and Quivey and Deputy Elections Director Penny Brooks asked County Prosecutor Keller Blackburn for a legal opinion Oct. 17 on who should be voting on Issue 2. However, the resolution sent to the elections board by the commissioners in July did not specify that it applied to just the unincorporated areas. Garry Hunter, Nelsonville’s city attorney, had questioned Issue 2 being on the ballot in Nelsonville and in the other incorporated communities. “Nelsonville is satisfied with what the board of elections is doing,” Hunter said Monday. Kudos to the Athens County election office for catching the problem and finding a way to make it work for all voters countywide! Be the first to comment on "No Small Stuff (cont. 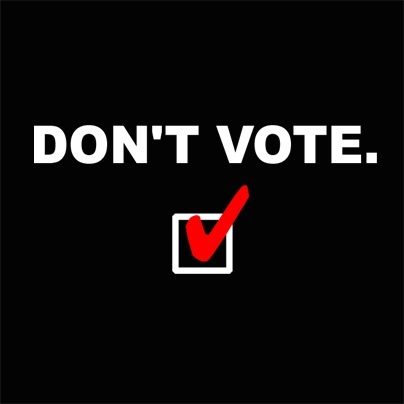 ): Error Leads Ohio County to Tell Some Voters “Don’t Vote”"